Last 12 satellite passes. Click on any image below for a full sized image. Refresh page to see latest info. 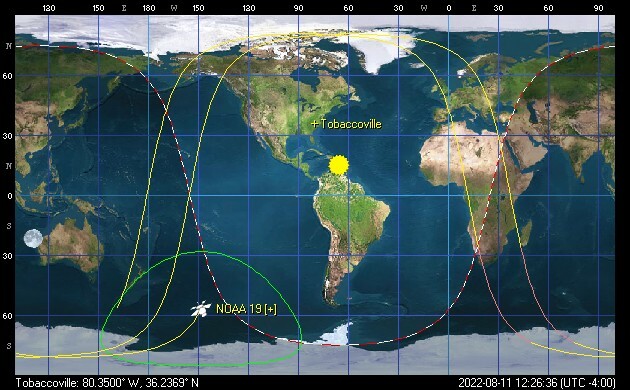 Image transmissions are received directly from weather satellites by a downlink at tobaccovilleweather.com. The images are captured and processed by WXtoImg software.